NetZoom™ is packed with ready to use power tools to customize and extend its functionality. The NetZoom SDK is available for those Power users who are ready to take NetZoom beyond its developers. 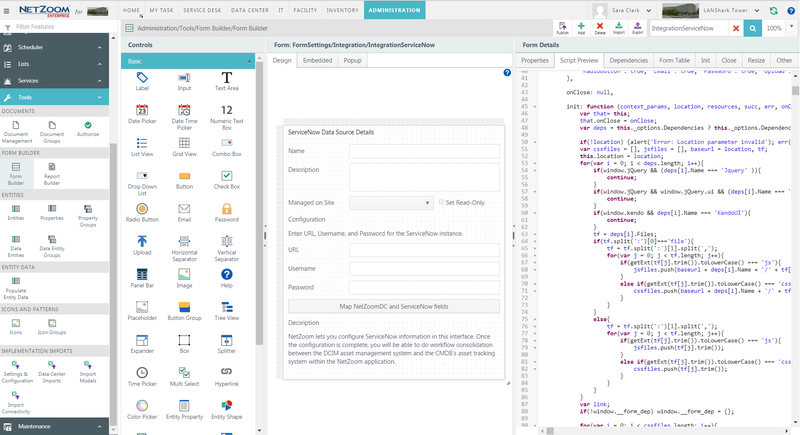 Entity Manager, a CI manager for CMDB users, is where users can Create, Customize, Manage and Visualize data stores or Entities (Tables) and establish the relationships required for the user’s implementation of the DCIM. NetZoom comes with prepopulated entities for popular Data center infrastructure. All Entities can be extended as needed. 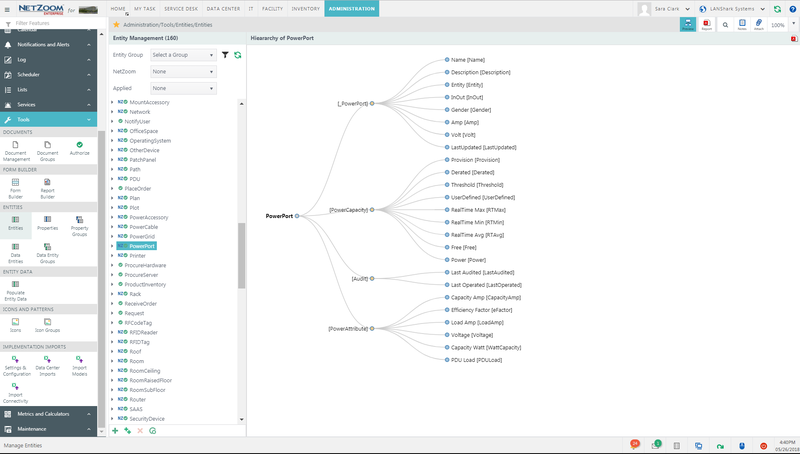 Create, Edit, Manage and Visualize Entity relationships. 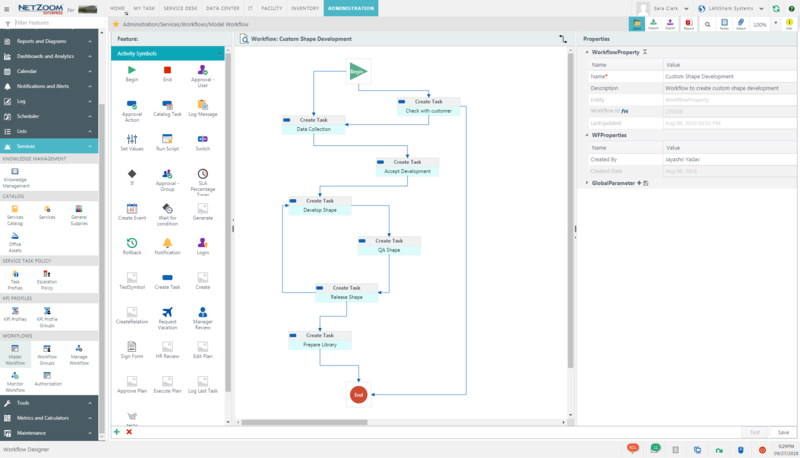 Powerful Visual development Studio integrated for Power users to further extend and customize user interface and features to incorporate unique functionality to their environment. 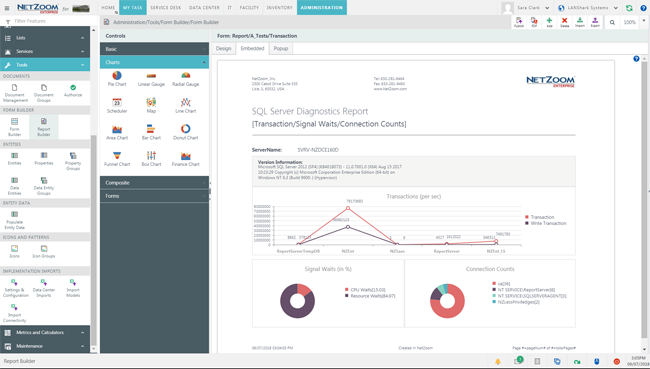 Use the Visual Report Builder to create and customize Report, Chart and Dashboard templates to meet user requirements. NetZoom is packed with dozens of ready to use templates. NetZoom integrated document management with advanced search capabilities and secured access offers centralize management of all data center documents. Create your own Test Client application using NetZoom SDK. NetZoom exposes most of its functionality thru a set of NetZoom REST API. 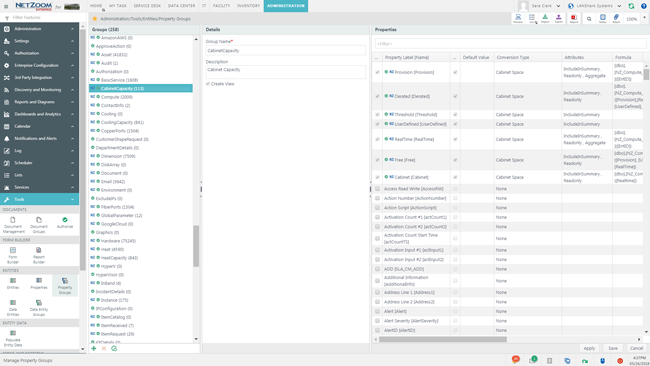 The REST API allows users to securely connect using their account to access NetZoom data and functionality authorized to the account. 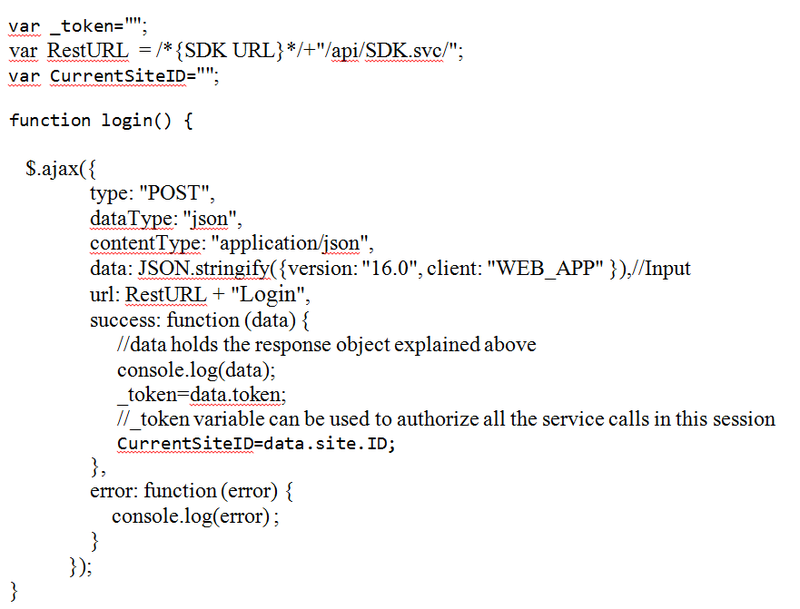 HTTP requests to the REST API are protected with HTTP Basic authentication.